THE WARATAHS announced the signing of league international Israel Folau on a one-year deal for the 2013 Super Rugby season. A talented rugby league player, Israel played 52 games, including two Grand Finals, for the Melbourne Storm, plus a further 38 with Brisbane Broncos from 2007-10 before making the switch to AFL in June 2010. 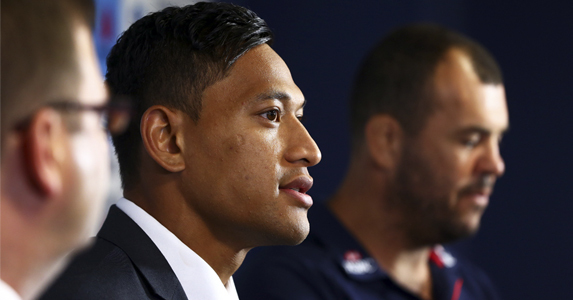 Folau spent two years with Greater Western Sydney Giants, before he cut short his multi-million dollar, four-year deal after he struggled to adapt to the game.